In summary: Voting closes 1 December. Last photo of the month for this year! *This month we are seeking photos of multiple buses in the photo. If you submit a photo (or two) matching this criterion, you may post up to three photos but you may only submit a maximum of 2 photos in this "bonus" category. Submissions close midnight 27 November, Australian Eastern Daylight savings Time. Voting will commence on 28 November. Voting will close on 1 December. BUS.532 operates S/R 665 along Templestowe Ave, Conder. 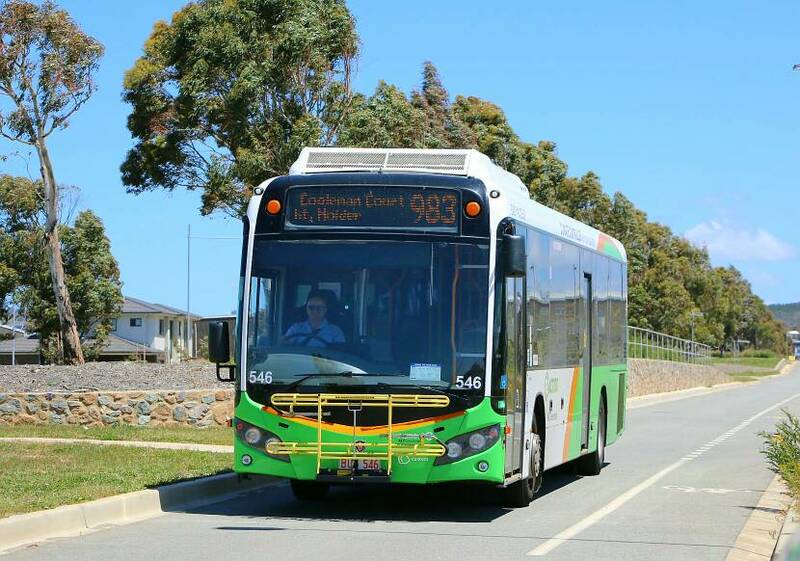 BUS.312 operates a route 1 along King Edward Tce, Parkes. 935, 944 and 967 depart Tuggeranong Bus Station. Thought I'd experiment a little with some multi-shot action, mostly for this, but also to practice. I haven't found the time to sort through the thousands of photos and submit for a couple of months, so glad to be back. Bus 617 on Athllon Drive, Kambah (if you squint your eyes &amp; look wwwaaayyyy over the hill, you'll see a couple of hundred buses resting-it may not count for the bonus round though). It's a close vote (sort of) - but we need more votes to help decide the runner up. If there isn't a decisive result, voting will be extended a further 24 hours. We have a tied result. In accordance with clause 4.7.ii of the Photo of the Month by-laws, should there be a tied vote there will be a 24 hour run-off vote to decide the winner. So new vote is now open. Should the result still be tied tomorrow, there will be a random coin toss. Or I'll just pick one. After examining the entrails of a chicken* (refer clause 4.8.vii), the photo of 546 has been declared the winner. A POTM photo category for next year will involve "bus oddities" - that is something about the bus body which is non-standard. Examples include the all-green front on 478 and 351; the front fleet numbers on 317; the large ACTION logo on 956 or the lack of logo on several buses including 614.